Kevin Townsend is a writer specializing in cyber security news, views, and issues. He has worked with Wisegate and currently writes for SecurityWeek and TheBestVPN.com. In today’s world security risks are everywhere. This is especially true online. Whether you’re looking to keep yourself safe from cyber attacks, or just browse the web anonymously, there are multiple solutions available. If you’re concerned about online privacy, both proxies and VPNs will offer you a higher degree of privacy online, but how they accomplish the task is very different. In this VPN vs proxy showdown, you’ll learn what VPNs and proxies are, how they differ from one another, and which one you should choose to remain anonymous online. 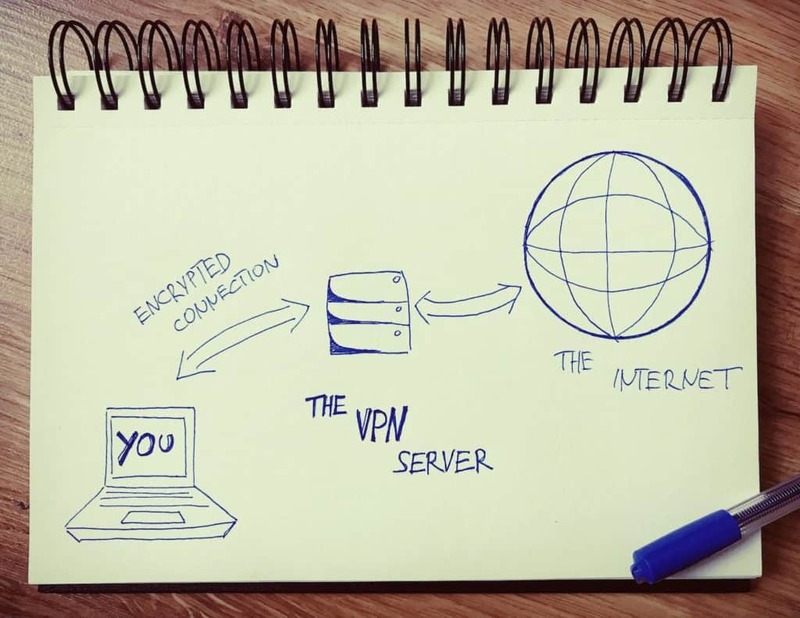 A Virtual Private Network (VPN) makes it appear as if your online activity is coming from a remote IP address. A VPN creates a private local network that extends across your entire network connection. To set up a VPN you’ll need to install the software on your local operating system. That way when you connect to the internet, your entire connection is protected. This includes things like web browsing, downloading and uploading files, streaming movies, and a lot more. Once you select a solid VPN provider and install the software it will establish a secure tunnel with the VPN server. All of your traffic passes through this encrypted connection, adding layers of encryption and security. Any network traffic passing through this connection is secure. By using a VPN it seems as if all of your browsing data is coming from the VPN server, instead of your personal computer. When using a VPN, it’s nearly impossible for any third-parties or even your ISP to access any data being transmitted over the network. For example, if you’re using an unsecured wi-fi connection you don’t have to worry about the security of the network, since all of your traffic will be encrypted. However, with added layers of security and protection you will have to sacrifice speed and computing power, and unlike proxies, a solid VPN isn’t free. Not all VPNs are created equal. Simply installing and activating a VPN isn’t enough. You must be using a quality VPN provider if you want a fast and secure connection. When you’re using a VPN you will have to make small sacrifices for your performance and loading speeds, but you should never make a sacrifice regarding your privacy. Since VPNs are becoming mainstream there are all kinds of VPN providers to choose from, but they all don’t provide the same level of service. A proxy is a server that sits in between your computer and the internet. It will hide your IP address, so the website you’re accessing will see the IP address of the proxy server, and not your real IP address. This makes it seem as if your online activities are originating somewhere else. They’re commonly used for low-stakes online activities like accessing geo-restricted content or getting around IP-based website restrictions. The only real privacy element of a proxy is that they hide your IP address. However, there aren’t any other security measures involved, like encryption. Just think of it as swapping your IP address for one that’s based somewhere else. Since there’s little security involved, anyone can access the traffic flowing through the connection. Finally, a proxy is configured on an application level. This means that you’ll configure certain applications to run a proxy, it’s not system wide. Public proxies seem to be the first choice of most people. Public proxies are free to use, but they also get the most use, which can make them unstable due to user overload. With a public proxy you don’t know who is running the server, plus with so many users, it does open up some security risks. If you’re going to use a public proxy you should probably only use it to get around website blockers. Web proxies let you connect to a proxy server from within your browser. Web proxies are generally free and won’t require you to install or download any software. This makes them very easy to use and get around content restrictions when you’re on the go. SOCKS proxies are much more versatile than both web and public proxies. Instead of trying to interpret the traffic passed through it, it just eases the traffic along. SOCKS proxies can handle much more diverse traffic and are commonly used for torrenting. When Should I Use a Proxy? A proxy offers a basic level of privacy protection. Your web traffic will be routed through the proxy server, so the website you’re trying to access will see the IP address of the proxy, and not your real IP address. This process offers some basic surveillance protection. However, since proxy servers often keep logs of user activity, your true IP address and other information can easily be discovered. Maybe you’re trying to get away from all the targeted ads you see on a daily basis. If you use a proxy server for regular web browsing, then these ads won’t be tied to your IP address. However, you have the added security risk of proxy servers injecting their own ads into the sites you visit. This tradeoff might not be worth the risk. You can use a proxy server from within your internet browser. This makes them much easier to use in an instant. Since you won’t have to install any software it’ll also be less resource intensive. This doesn’t mean that your proxy server will be fast, but instead, it won’t place a strain on your computer. Probably the most useful feature of a proxy server is its ability to get around geo-restricted content or blocked websites. Just fire up a proxy server and you’ll be able to quickly view the blocked site. However, when getting around geo-restricted content you need to be using a proxy server that’s in the right location. For example, if you’re trying to watch a Netflix series that’s blocked in the UK, then you’ll need to use a US-based proxy server. Overall, a proxy is a lightweight privacy solution that should be used sparingly. If you have an aging hardware setup that can’t run a VPN, then you could get by with a proxy, but you might be exposing yourself to more security risks. A 2015 study actually found that out of 25,000 proxies, only 14% of of them were safe to use. If you are going to use a proxy take extra caution to find a trustworthy provider, and never share or transmit any personal information when using a proxy. If you truly want to remain anonymous online and keep your privacy intact, then you’ll want to use a VPN. Most VPN providers have strict no-logging policies, which means they not only keep your IP address anonymous, but they also don’t store it in the first place. Basically, this means there’s no way your web activity can be traced back to you. With a VPN getting around geo-restriction is much simpler. Since VPNs have a variety of servers scattered across the globe you can easily connect to the one that will help get you around the region block. This will allow you to easily switch up your virtual server environment, no matter where in the world you happen to be. A VPN will protect more than just your web browsing. Since a VPN is installed on your computer any type of activity over the network will be protected. This includes downloading and uploading files, installing updates, and a lot more. Plus, you’ll remain protected even under unstable conditions. Say you’re using a public wi-fi network with a weak connection. A VPN will continue to keep you protected, even if the connection drops. Plus, if someone were to intercept the connection, any information they obtain will literally be unreadable due to high levels of encryption. Most ISPs will throttle network connections if they believe it’s being used for torrenting. By analyzing the data packets being sent over your connection they can determine if you’re using your connection for torrenting, or regular web browsing. But, since a VPN encrypts all data being sent over the connection, they cannot detect if you’re torrenting or not. VPN vs Proxy: Which One is Right for Me? 99.9% of the time you’ll want to use a VPN. A VPN will offer you the same benefits that you’ll receive when using a proxy, except you’ll also get higher levels of protection, security, and anonymity. The only difficult thing about a VPN is there might be a learning curve, and it’s a cost investment. Still, there are VPNs like ExpressVPN, which are incredibly easy to use. The only time you’ll really want to use a proxy is when you need a one-time solution for a simple task, like quickly viewing a blocked website, or getting around a geo-restriction. Remember, if you are going to use a proxy make sure to never send any personal information over the connection. There are paid proxies available too, but if you’re going to pay for a proxy, you should guarantee your security and pay for a VPN provider instead. Overall, a VPN will give you the same functionality as a proxy, but with greater levels of security, anonymity, and protection. For those who are actually concerned about their privacy online, then a VPN will be the best choice. Proxy: FREE, less secure, slow. VPN: ~$6/mo, more secure, faster.